According to the Australian Bureau of Statistics (ABS), approximately 52% of Australia’s land mass is dedicated to agriculture. The gross value of Australia’s agricultural production for 2013 was $48.0 billion, an increase of 3% on the previous year. The value of Australia’s grain production grew by 10%, however the contribution of this growth to the overall agribusiness economy was moderated by falls of between 4% and 7% on livestock slaughtering and livestock-related production over the period. The second-smallest state in Australia, with less land available for farming than almost all other Australian states, Victoria is also the richest contributor to the nation’s agribusiness economy. Victoria’s dairy cattle industry is the largest of any state, however Victorian agriculture supports a broad range of livestock-based production for live export and meat consumed domestically and exported into foreign markets, wool production, and a variety of small-area intensive fruit and vegetable crops. Victoria is a leading Australian state for livestock meat production, and also produces approximately 24% of Australia’s poultry meat. 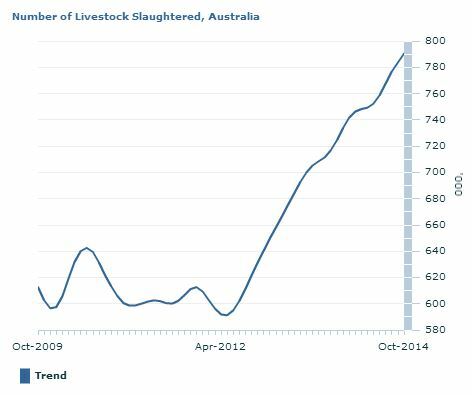 Australia’s slaughtering of cattle (excluding calves) 2009-2014. Graph example from available data on ABS website. The Australian Taxation Office (ATO) defines a primary producer as an individual, trust or company carrying on a primary production business. The business must be engaged in plant or animal cultivation, fishing or pearling, tree farming or felling to qualify as a primary producer. planned, organised and carried on in a business-like, profit-motivated way. The ATO makes it clear that you are not carrying on a business if the activity is better described as a hobby, a form of recreation, or a sporting activity. You are also not a primary producer if you plant, manage or establish trees for the sole purpose of carbon sequestration and those trees are not intended to be felled in a business of forestry operations. There are many definitions of legitimate primary production according to the ATO, and farmers are quite often engaged in multiple farming activities of different kinds. Some farmers are also adding value to their primary production, bringing manufacturing, distribution, and even hospitality or eco-tourism elements into play with their business structuring and taxation accounting requirements. If you have any questions about farm accounting software, your status or compliance as a primary producer, or the potential benefits of entering into primary production activities on a commercial basis, talk to an expert farming accountant at Billings and Ellis. Did you know Billings + Ellis are the farm accountants Gippsland? Billings and Ellis has an office in Willung South, East Gippsland, providing expert assistance to farm businesses in surrounding areas including Longford, Sale, Maffra, Stratford, Heyfield, Toongabbie, Glengarry, Traralgon, Morwell, Yallourn North, Churchill, Newborough, Moe, Trafalgar, Yaragon, Darnum, Warragul, Drouin, Longwarry, Bunyip, Garfield, Tynong, Nar Nar Goon, Maryknoll, and Pakenham. 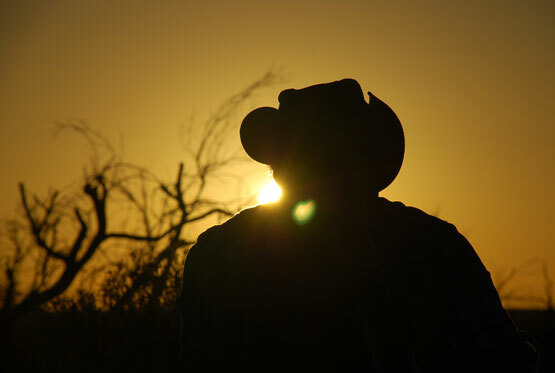 Australian farmers of the baby-boom generation are mostly at a stage in life where succession plans are needed to ensure the future security and viability of landholdings for future generations. Billings and Ellis are experts in succession planning and implementation. What’s more, Graham Morris (CPA) of Billings and Ellis is an experienced primary producer with great depth of knowledge and helpful advice for farmers who are ready to manage change and transition strategically, rather than allowing circumstances to dictate scenarios which may be less than ideal for the families involved or the farm as an ongoing concern. Preparing and planning for change can take a lot of consideration of the various options and potential outcomes available, and often there are extensive round-table consultations between the expert adviser and stakeholders. It’s never too soon for succession planning and an early initial chat with Graham Morris is an easy way to get started. Why not call Graham today and take steps towards the assurance of your farm’s future? Billings & Ellis have been looking after primary production businesses for over 40 years and have clients with farming operations of all kinds located throughout Australia. Indeed, Graham Morris himself ran beef cattle for a number of years on his farm, and now has a successful vineyard operation. Have an introductory chat with an expert in providing accounting, financial management, taxation and succession advice to farmers.